What are hops and what do they do to beer? Hops is what makes beer taste wonderful! At their most basic form, hops are the cone-shaped flower of the plant known as 'Humulus lupulus'. Hops may be added to the beer wort to impart a bitterness which balances the sweet malt flavour of beer. Hops can be used to create a variety of tastes and to offer unique aromas which enhance the drinking experience. Beer makers of the last millennium recognized that hops was a crucial element of brewing good beer. It was the Germans who were amongst the first beer makes to recognize their need. So much so, it became the law that only hops could be used in beer as opposed to other beer flavoring such as anice (aniseed), heather and roseword. The beauty of the hops plant is that its varieties give different qualities to the beer. The climate and location of where the hops are grown help determine these qualities but most importantly, the alpha or beta acids of the hop causes the greatest contribution. Hops also offer the ability to act as stability agent, preventing spoilage of the beer (hence Indian Pale Ales were shipped to India from Great Brtitain were heavily hopped). It's properties allow the beer yeast to thrive over any other potential contaminants. It also helps with head retention and acts as a natural clarifier agent. Hops also contain oils which add to flavour. Hops can be added at different points in the brewing process and the differing temperatures will also have an affect on those oils and flavour. Certain kinds of hops are commonly associated with particular styles of beer or beer from certain regions. Pilsner beers have became nearly synonymous with the four popular 'noble hops' being the varieties of hop called Terrnanger, Spalt, Hallertauer and Saaz. Saaz hops in particular are associated with the brewing of lagers, most for the aroma that has become associated with the beer. Pilsner beers are known as traditionally coming from the Czech Republic. The English Golding hop has become the signature hops of English ale. The Fuggle hop is another popular hop used for ale. America has become a home for hop production and many new varieties from old favorites have been developed. American hops are recognized and appreciated all around the world for the bold, and often intense flavors they impart to beer. American hops are often described as being citrus like, however that's a most rudimentary description. What form do hops come in for brewing? Hops are traditionally distributed as pellets, plugs or whole leaf but they now can come in cyro hop form. What hops should I use in my beer brewing? It of course depends on what kind of beer you are trying to make. 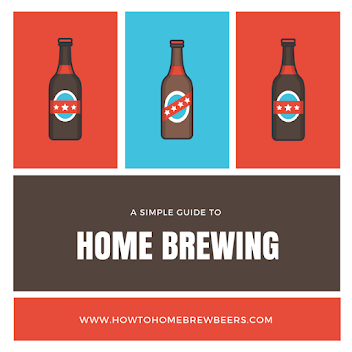 If you are making beer clones or following recipes, you probably want to follow what other brewers have found to work well. Cascade: This is an extremely popular american hop. Known for it's floral hop trait, it is often liked to a grapefruit. Cascade is known as a versatile hop variety that is popular for bittering, finishing and dry hopping of pale ale and American style beers. Czech Saaz: as mentioned a popular hop for pilsner and lager style beers. Saaz offers a delicate, mild floral aroma. Green Bullet: offers a traditional bittering quality and hop flavour. A Kauri like giant of the New Zealand brewing industry this hop is closely associated with the world renowned Steinlager beer. Green bullets is best consider a bittering variety typically lager beers. If you are a beginner brewer looking to use hops for the first time, we feel confident enough from our experience with using these hops that you won't go wrong - as long as you match them to your intended style of beer. We have a fond memory of a brew which used both cascade and green bullet hops to make a loosely approximate version of Steinlager. It was a fine brew! And so from that you can take that it is OK to add different hops together to get different flavours and aroma! When do I add hops to my beer? Typically the beer wort is boiled with hops before it is cooled down to begin the fermentation process. The timings of when to add the hops in the boil can be critical as the different timings can cause the hops to work differently on the beer. If you are making your own wort (as is, not using a beer kit) then it's best practice to follow a tried and true recipe, at least as you start out. You can of course become more adventurous when you have a bit of confidence in your beer making skills! If you're at that point you'll want to understand that the process is sometimes known as the “hop schedule”. A hop schedule will lists the length of time that the hops should be in the boil, not the amount of time you should wait to add the hops. This allows you to making your timings correctly. The rough guide is the longer you boil the hops, the more bitterness they will impart. The shorter you boil them, the more flavour will be added. If you are using a simple beer kit, you have two choices when to add hops. You may add them when you bring all the ingredients of the kit together, or you can add them near the end of the fermentation process. The choice is yours, and in our experience, there doesn't appear to be much of a difference in the end result. Where can I buy quality hops? Your local brewshop will typically have a wide selection but there are online stores everywhere, we recommend NZ's Brewshop but internationally you'll have some good luck buying on Amazon.